Studies show that artificial sweeteners can raise the risk of hypertension, metabolic syndrome, type 2 diabetes and heart disease, including stroke. If you are reading this, chances are you are interested in exploring a more natural way of managing your health and/or that of a family member. Complementary and alternative medicine (CAM) approaches health in a very different way from conventional medicine and it is one that more and more people, patients and practitioners alike, are beginning to integrate into their daily lives, their work and their beliefs about healthcare. Indeed, complementary and alternative medicine is widely accepted in the UK and widely practiced within the NHS. A survey published in 2003 suggested that 50% of GP practices in England offer some form of CAM, much of it practiced onsite. In another small survey of GPs in the UK and Germany, British GPs made more referrals to complementary practitioners and 70% of UK GPs felt it was safe to prescribe alternative treatment to their patients. Of the various forms of CAM, acupuncture is amongst the most popular; approximately 3 million people undergo acupuncture treatment in the UK each year. 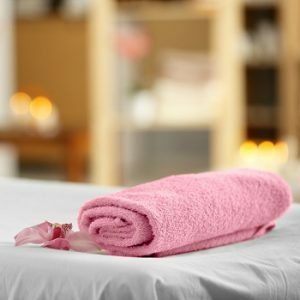 Herbalism, aromatherapy, massage, and reflexology are amongst the other most popular treatments. In addition, across Europe, around a quarter of the population regularly use homoeopathy. There are many reasons for this growing interest in CAM. Modern medicine often boasts that, thanks to its innovations and efforts, we are living longer than ever. But focusing solely on longevity means we miss some crucial points about the nature of health and disease. Such as the fact that it is more likely to be advances in hygiene, housing and nutrition, than advances in medicine, that has made the greatest impact on human longevity. What is more, while we are living longer we are not necessarily living healthier or better, or happier. In spite of our increased longevity, a growing number of people in their prime report a lack of vitality and vague symptoms that they cannot pin down; symptoms such as insomnia, digestive problems, headaches, respiratory complaints, feeling run down, depressed and being susceptible to every ‘bug’ that is going around. Similarly although we are living longer we are experiencing less wellbeing and happiness. A major recent survey in the US found that only about one-in-four people are emotionally healthy. It noted that for people under 60 unhappiness is a chronic problem. We may be living longer, we may even be more affluent, but we are not making gains in happiness. Our collective unhappiness, witnessed by rising rates of depression in the West, is contributing higher rates of physical ill health. According to the World Health Organization, in developed countries, mental illness causes more disability than cancer and heart disease and may even contribute to the development these and other chronic illnesses. Many people begin to investigate complementary therapies as a way of escaping a healthcare system that rarely acknowledge the mind/body connection and doesn’t seem to know how to treat this loss of vitality. Some also move toward CAM in order to step outside of a healthcare paradigm that sees the patient as a mere collection of symptoms and which is founded on an unequal relationships between patient and practitioner. For instance, alternative medicine is mostly aimed at self-healing and prevention rather than reacting to and suppressing symptoms as they arise. Similarly, alternative medicine believes in the innate ability of the body to heal itself; conventional medicine believes that only medicine or surgery can cure. In alternative medicine there is a broader definition of good health that encompasses more than the mere absence of symptoms because, even in the absence of symptoms, a patient’s essential vitality and ability to resist illness may be low. A competent therapist may be able to discern this and work with the patient to help strengthen and maintain a healthy immune system. In contrast to conventional medicine, which is most at home treating acute diseases, alternative medicine has much to offer those who suffer from chronic complaints. And because many alternative therapies can be practised at home, they also place healthcare squarely in the context of the community rather than in isolated bureaucratic centres. Because alternative therapies place no boundaries between physical, emotional and mental well being, no aspect of the self is too trivial; posture, lifestyle, beliefs and values, energy and work and their impact on the total picture of a person’s health are all relevant. Again this is in contrast to conventional ideas that look for single causes for single diseases. The idea of partnership with the therapist is also in opposition to the dominant-subordinate relationships which many doctors and patients have. Because of this there is a certain amount of personal responsibility put upon the individual who seeks alternative forms of care. You must do what you can to help yourself whether it means changing your diet, taking the idea of relaxation seriously and integrating it into your life or taking more exercise. It may also encompass more difficult tasks such as facing up to uncomfortable aspects of your emotional life, examining your own beliefs and behaviour and looking objectively at some of your relationships and priorities. The list of mind and body therapies listed on the following page give you an idea of just how many options are open to you when you seek to use complementary medicine. Each link takes you to a page explaining a little about the therapy, what it’s useful for and what you can expect in a typical session. Click on any of the therapies in the list below to learn more about it.